3 Kills – Spy Plane: Advantages: This lets you see enemies on the radar in the upper left hand part of your screen. Though it is one of the lowest killstreaks, it is very beneficial and gives you a huge advantage. Disadvantages: It can be shot down and it will not detect enemies who use the ghost perk. 3 Kills – Explosive RC-XD Car: Advantages: Lets you control an explosive RC car that usually results in a kill/multikill. Disadvantages: Leaves you vulnerable while you control the RC car, so find a good place to hide. It can also be destroyed by the enemy. 4 Kills – Counter Spy Plane: Advantages: Disables enemy radar. Disadvantages: Can be shot down. 4 Kills – SAM Turret: Advantages: Destroys all enemy killstreaks that are in the sky with the exception of the Blackbird, Napalm Strike, Mortar Team, and Rolling Thunder. Disadvantages: Must be called in by and airdrop before using it. It can also be destroyed by knifing or shooting it. 5 Kills – Care Package: Advantages: Drops a random killstreak from this list. You may also receive the Death Machine or the Grim Reaper. The Death Machine is a lethal fully automatic minigun and the Grim Reaper is a deadly rocket launcher. You may only obtain these weapons from the care package. 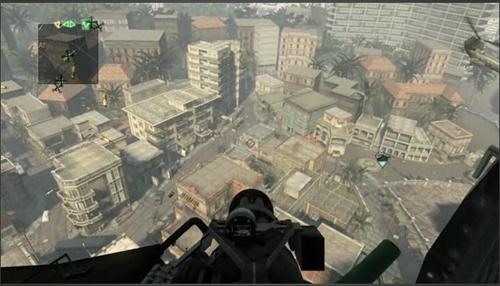 Disadvantages: You have to wait for the Care Package to drop leaving you vulnerable. Also you are taking a risk by receiving a killstreak you have no use for. 5 Kills – Napalm Strike: Advantages: Directional fire strike that lets you choose the placement. Takes out enemies in the initial strike area and it also takes out enemies that get to close or walk through it. Disadvantages: Enemies using the flack jacket perk will not be killed if they walk through the flames. 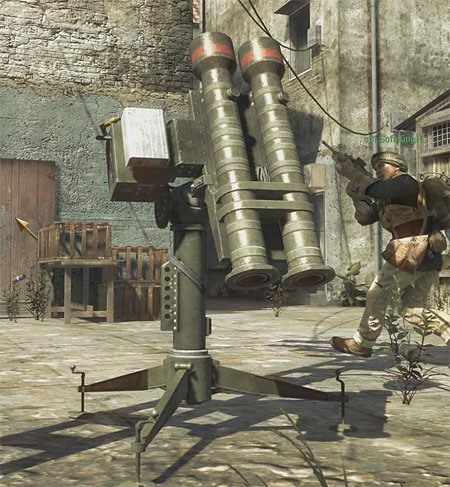 6 Kills – Sentry Gun: Advantages: Machine gun turret that lasts for 90 seconds and can be placed anywhere you'd like. Once you place it down, you can pick it up and move it to a new area. It can be very beneficial if you know the maps heavy traffic areas. Disadvantages: Must be air dropped in order to use. It can also be destroyed and it cannot detect enemies with the Ghost Pro perk. 6 Kills – Mortar Team: Advantages: Allows you to choose three different locations on the map where two rounds will strike each of the chosen locations. The circumference of the explosions are approximately 15 yards. Disadvantages: Difficult to get kills if you don't know the exact location of the enemies. 7 Kills – Attack Helicopter: Advantages: Lets you choose the location of a support helicopter that takes out enemies within its attack radius. Disadvantages: Can be shot down. It cannot detect enemies with the Ghost Pro perk. 7 Kills – Valkyrie Rockets: Advantages: Gives you two controllable rockets that are obtained from a care package. The rockets are fired from your shoulder and you fire one then the other. Disadvantages: Very hard to control/steer. There are other killstreaks that are superior to this one. 8 Kills – Blackbird: Advantages: Lasts for 90 seconds and shows you exactly where the enemies are. Disadvantages: The Counter Spy Plane can be used to cover the radar. 9 Kills – Chopper Gunner: Advantages: Allows you to take control of a minigun inside of a helicopter. Shoot down enemies from above as you circle around the map. Disadvantages: Can be shot down. 11 Kills – Attack Dogs: Advantages: Sends out multiple attack dogs that devours enemies. Disadvantages: The attack dogs may be shot or knifed. 11 Kills – Gunship: Advantages: Same as the Chopper Gunner except you get full control of the gunship. This includes missiles, movement, and the minigun. Disadvantages: Can be shot down. I am goingt ot use yor article as a reference to write artticles hope its okay with you.